January is the perfect time to start your home renovation plans or remove refresh your kitchen decor. This versatile space is one of the most used rooms in the home. Kitchens bring family and friends together and provide a functional space to prepare delicious food. This year it’s all about colour contrast, modern functionality, statement features and texture. 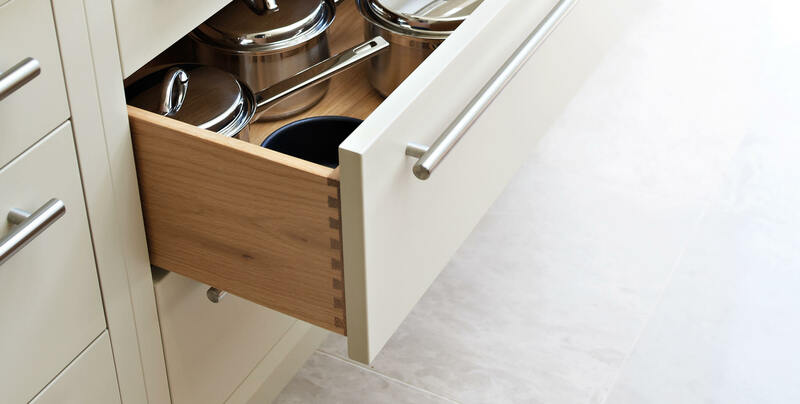 Below we’ve pulled together some of our favourite key kitchen trends for the year ahead. Homeowners are now wanting to inject a little more personality into their homes, creating unique bold designs even in the kitchen. From midnight blue, cobalt and navy, blue hues are now taking interiors by storm. Darker shades are becoming increasingly popular within the kitchen. Easily incorporated they can be used both as an accent or full base colour. 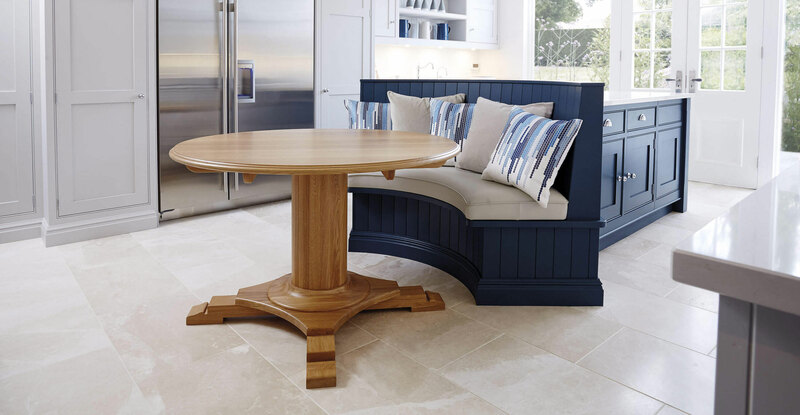 We’ve seen a rise in people choosing this calming palette for island and seating schemes creating a stylish, contrasting social hub. 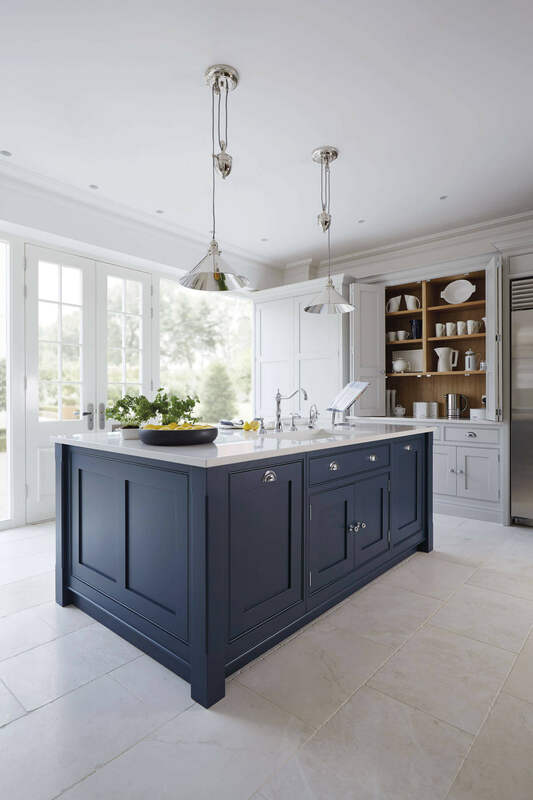 If you’re struggling to find the perfect shade, dark navy can act as a subtle substitute to black cabinetry adding depth, enhancing a space and creating a luxurious palette without overpowering the room. Opting for generous open shelving can add a touch of personality and style into any environment. Both functional and stylish, this feature is making a massive come back this year. 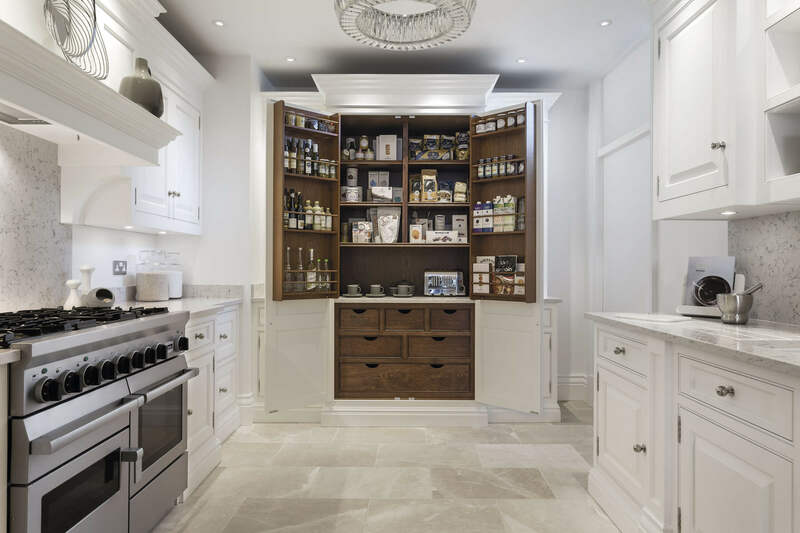 Creating much needed extra storage in the kitchen, open shelves are the perfect solution for displaying dishware, mason jars, books and beautiful essential kitchenware. 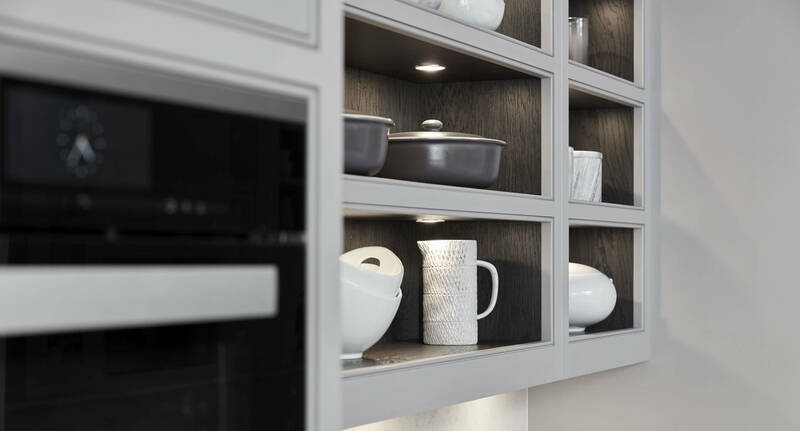 Consider what you display, you can easily create a considered aesthetic within kitchen areas by grouping similar pieces together. For example position mason jars next to prep areas, a set of stylish copper pans by the cooker or a special ceramic set on a feature wall. For smaller kitchens, you need to be careful not to overload your shelves making the space look cluttered and confined. Industrial kitchen styles are still massively popular moving into 2018. Rather than adopting the minimal sleek style; industrial decor is taking a warmer approach this year. With the addition of brass and gold tones, a space can feel full of character and ambience. 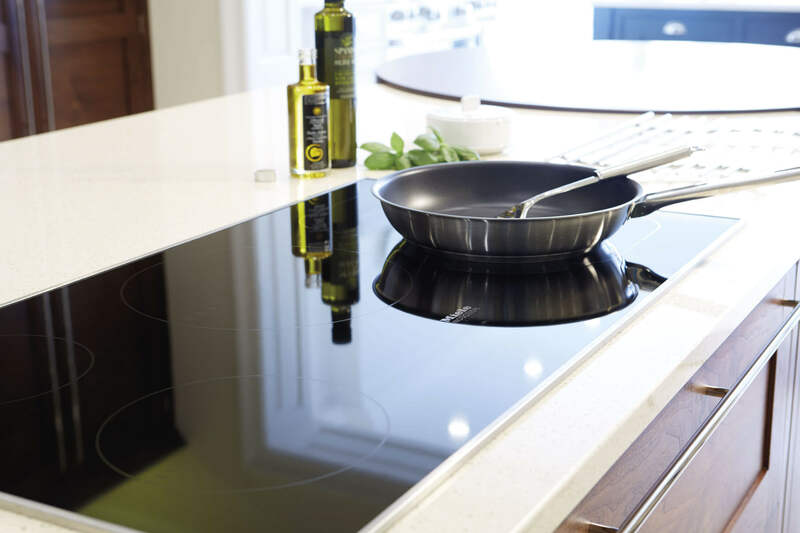 Using metallic finishes will enhance features within the kitchen giving them a stand out luxurious quality. 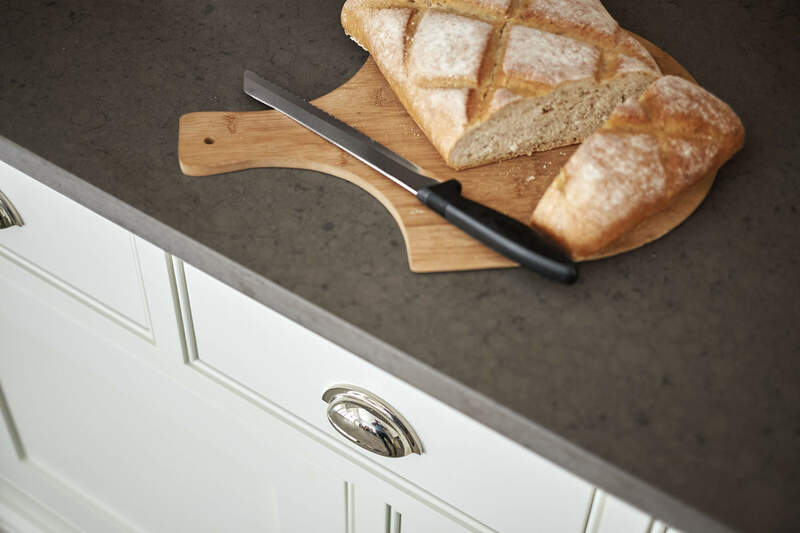 Applying this stylish finish onto taps, statement lighting and sinks will no doubt impress family and friends alike. Colour can set the tone and mood in a room, it can have the ability to calm senses or energise the mind. 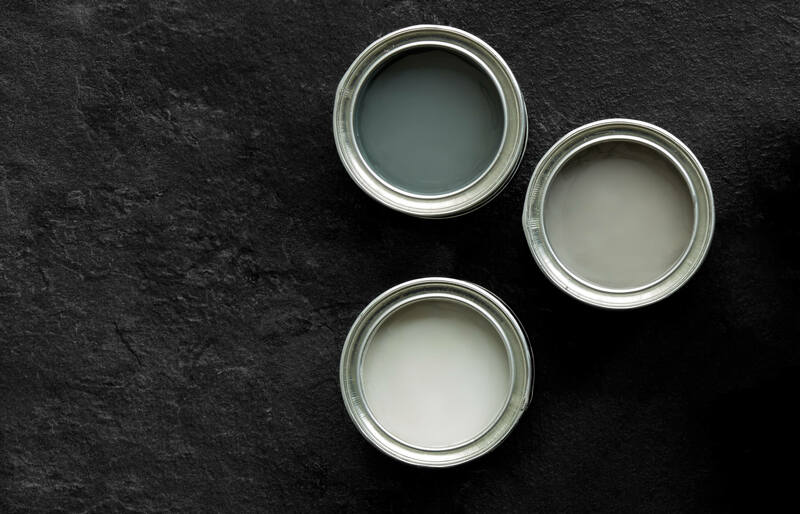 This is why it’s important to choose the right shades for your kitchen, to inspire, relax and invigorate. 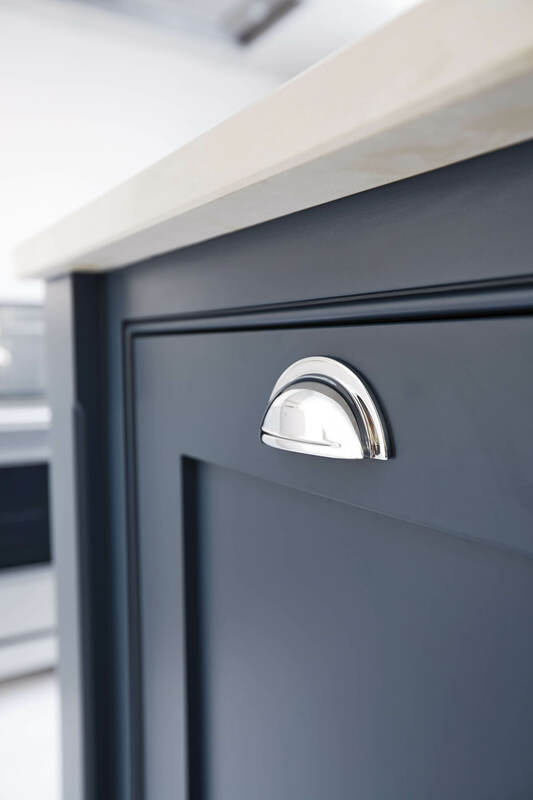 Two-toned kitchens have been in popular demand over the past year or so, not only combining colours but materials too. 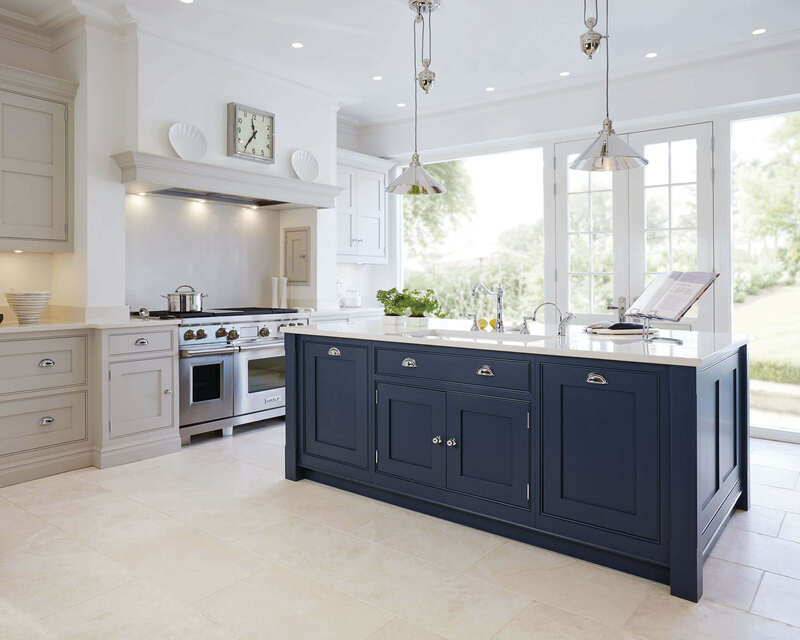 With bold colour now materialising in kitchen design, using a two-toned palette enables you to add a bright shade without overwhelming the space. 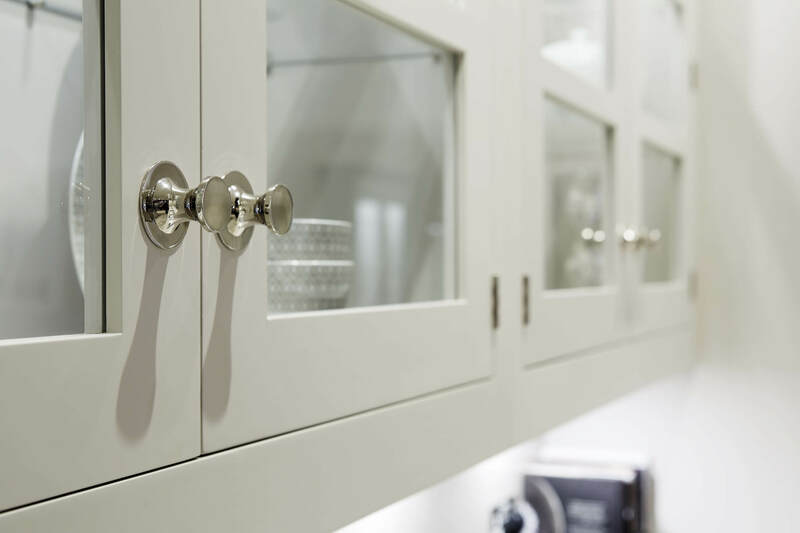 A great way to add the two-toned look is to combine your favourite white shade of cabinetry with a contrasting island colour. When it comes to tiling your kitchen whether that’s floors or walls, there are many styles to choose from. 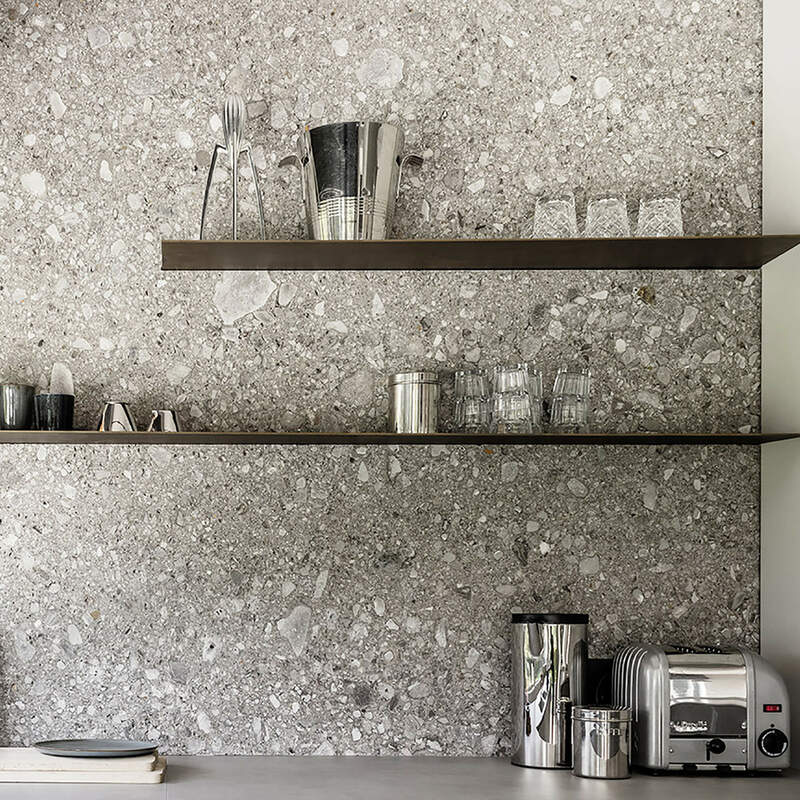 Incorporate other trends such as textural materials with natural concrete, limestone of wood effects, these would look perfect within Industrial style kitchens adding depth and interest. If you want to create a luxurious feature wall or backsplash think about using inviting metallic tones, these are best in modest amounts. One of our favourite styles is a statement herringbone or metro tile. A modern solution is to go all white, where the focus is on pattern and the geometric elements rather than colour. On the opposite spectrum if you have a plain painted kitchen design, add interest with beautifully patterned original tiles. 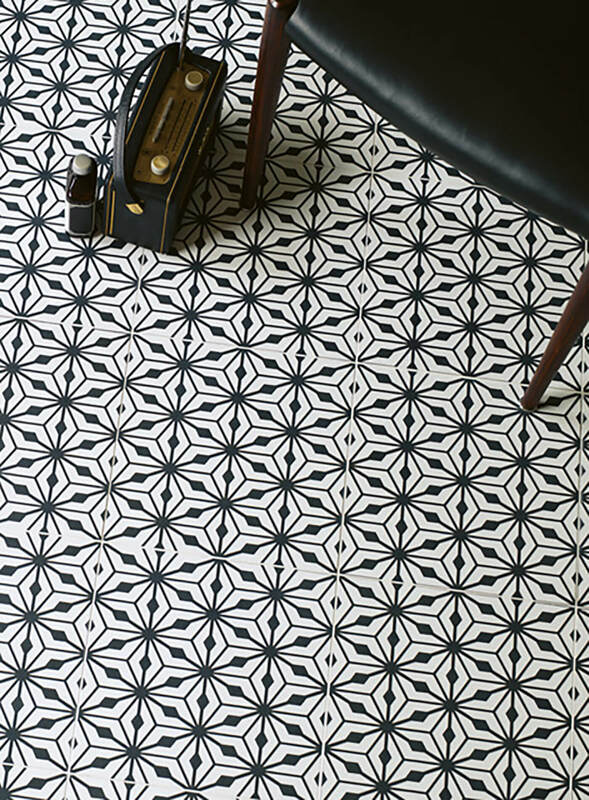 Whether you use Moroccan,70s retro or traditional Victorian patterns, a distinctive tile can transform a kitchen. 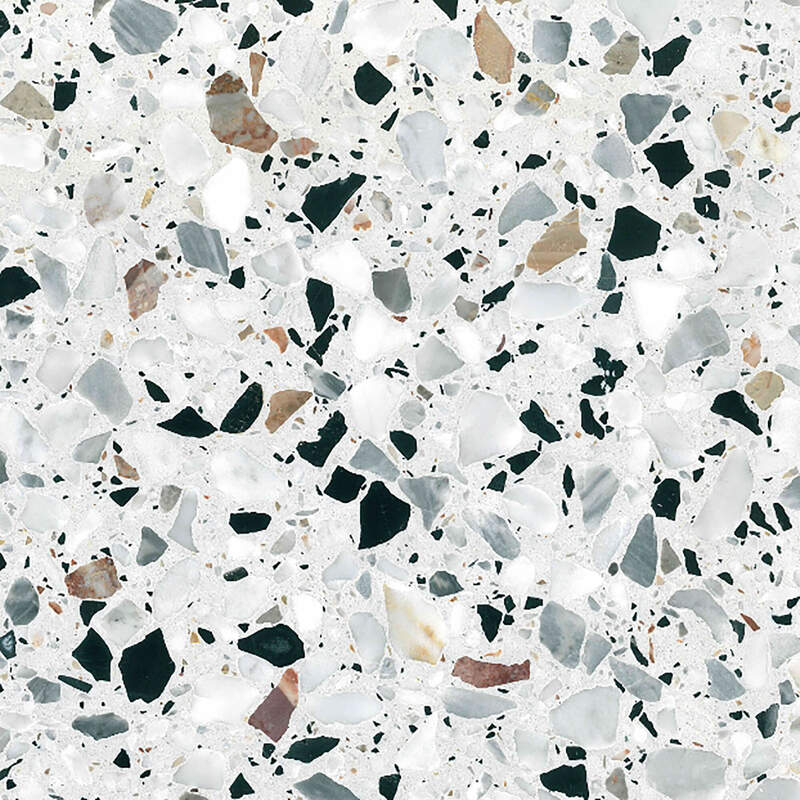 Terrazzo is making a comeback, now bringing a 70s vibe to our homes this bold trend definitely isn’t for everyone. Brightening walls, surfaces, and a variety of objects in between, we first saw this trend at Design Junction 2017 from designer/artist Olivia Aspinall. Minimalist or maximalist you can either have a black and white monochromatic finish or opt for a bright eye-catching design with pops of daring colour. Kitchen sinks are not the first thing we think of when designing our kitchens. 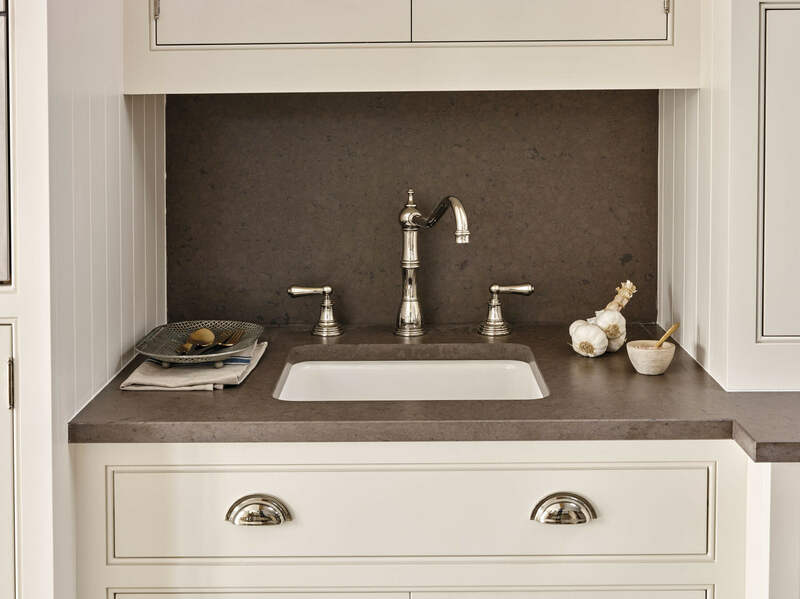 However, with an increased focus on functionality, sinks are becoming a fashionable design feature within our homes. 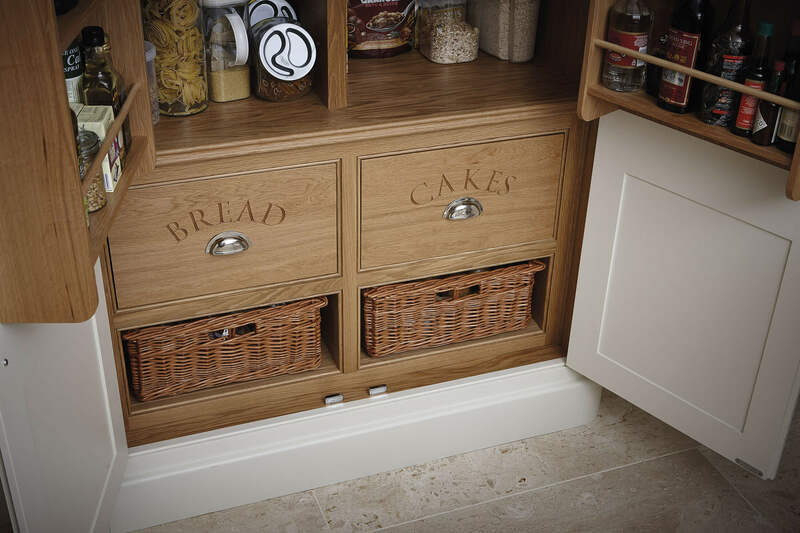 Multipurpose designs are a much-needed practical feature within busy kitchen environments, as well as adding a wow factor to the overall design. Make life easier with a multiple bowl sink, simultaneously wash, drain and prep making meal times and dishwashing a whole lot easier and enjoyable. A trough sink integrated into a kitchen worktop can be used for everything from chilling champagne, growing herbs or just preparing food, great for social spaces. 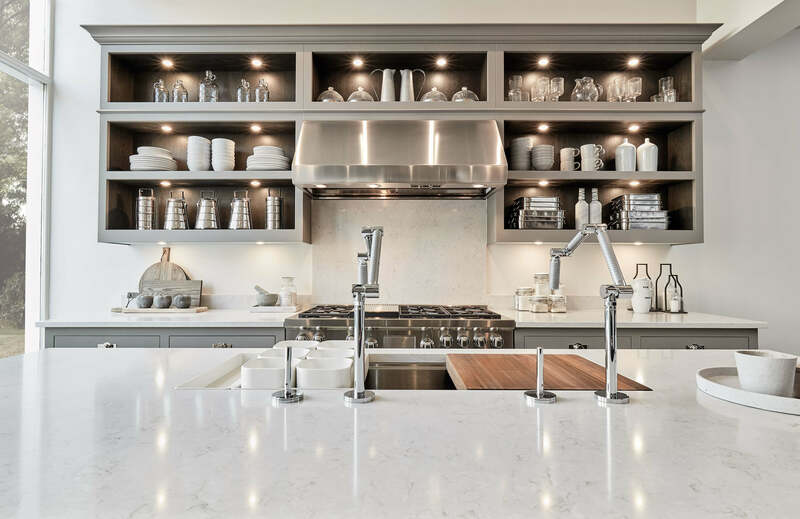 If you’re planning a new kitchen project or currently finishing one, what better way to gather inspiration than visiting our Pinterest profile. Here you can find additional 2018 trend inspiration as well as stunning kitchen ideas to help you transform your home this new year.